A birth plan is a document that you prepare prior to having a baby. It serves as a guideline for your doctor, midwife, and / or doula. DO I REALLY NEED A BIRTH PLAN? 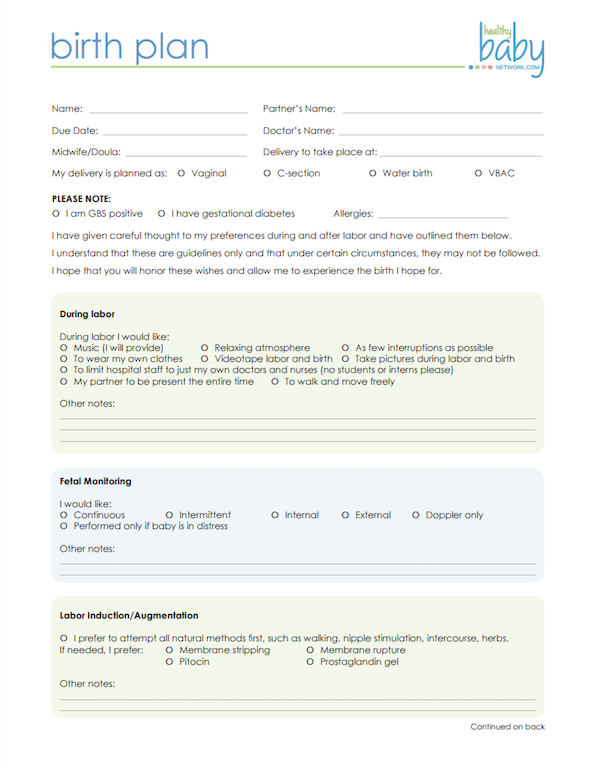 Filling out a birth plan gives you an opportunity to think about options and preferences that will help you create the best birth experience for you. A birth plan lets you explore options related to pain management, potential medical interventions, breastfeeding and recovery. It will help you think about different scenarios and what you would like to experience. For example, some hospitals have their own protocol for babies after delivery so your birth plan will inform your birth team ahead of time that you may want to watch the birth with a mirror, hold the baby immediately after brith begin breastfeeding right away. 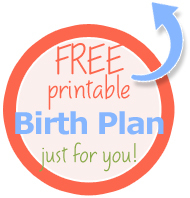 Once you have completed your birth plan, provide copies to everyone on your birth team. DOES MY DOCTOR HAVE TO FOLLOW MY BIRTH PLAN? No. A birth plan is not legally binding. It serves as a tool for your birth team to help you have the best birth experience possible. Your health care professional is responsible for your care and the care of your baby. Labor is unpredictable and complications can arise that require you stray from your birth plan, sometimes birth is nothing like you planned. If you have a good relationship with your doctor then they will help you have a positive experience. Take a birth class to help answer questions and concerns and, if possible, have additional support like a doula who can advocate for you and support you and your partner during labor.